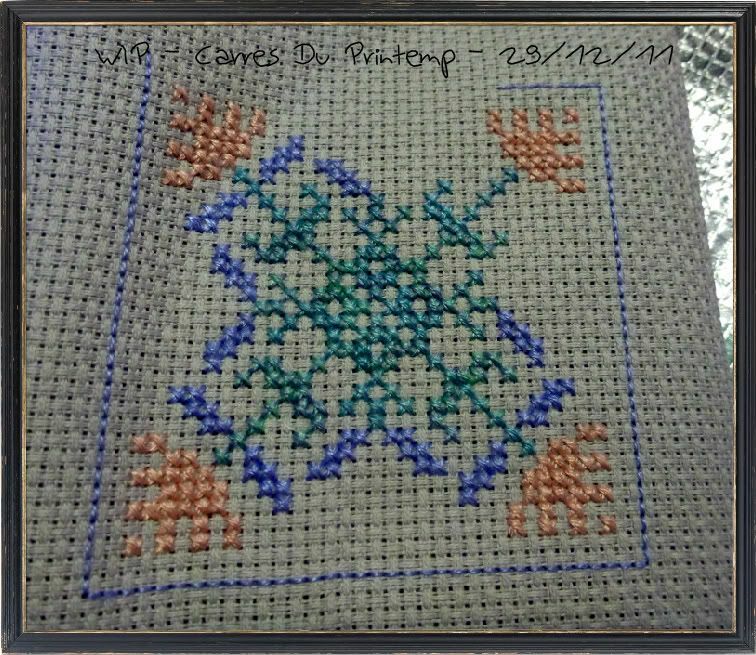 The next Jardin Prive Biscornu is almost finished which is great :D I do love these colours. They are just so different. 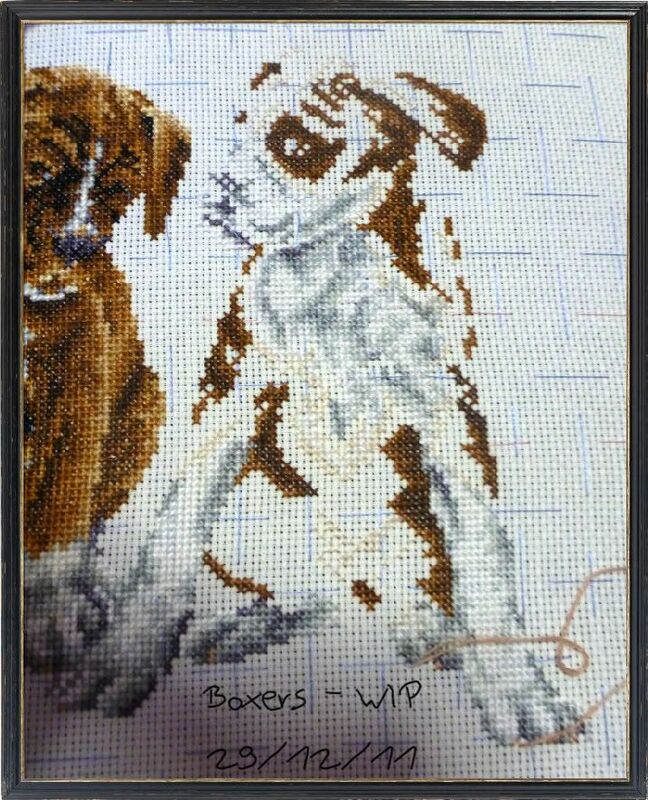 I've also been working on Boxers. Most of the chest area is now done and the white is almost almost done! This dog might even get finished while I'm down here! 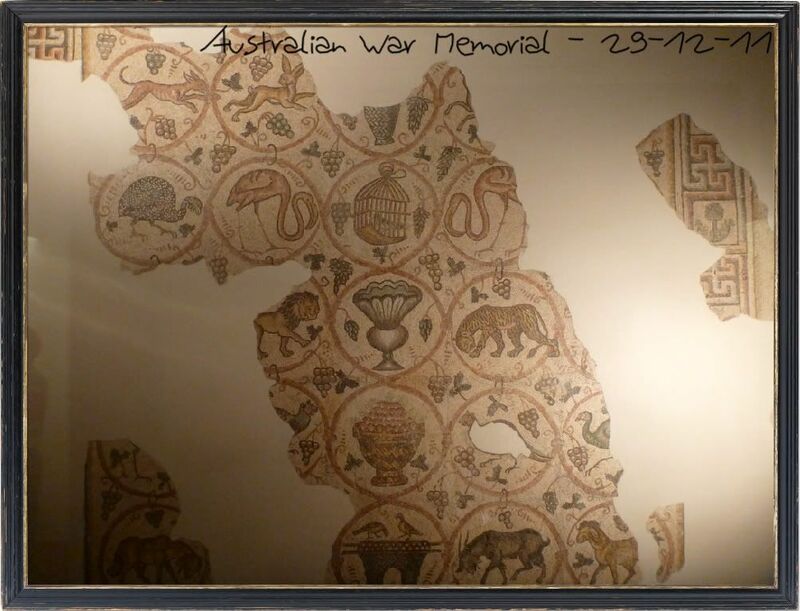 I also have tonnes of photos of the Australian War Memorial. We had a wonderful day learning more about the history of Australia. I will try to explain each picture properly. 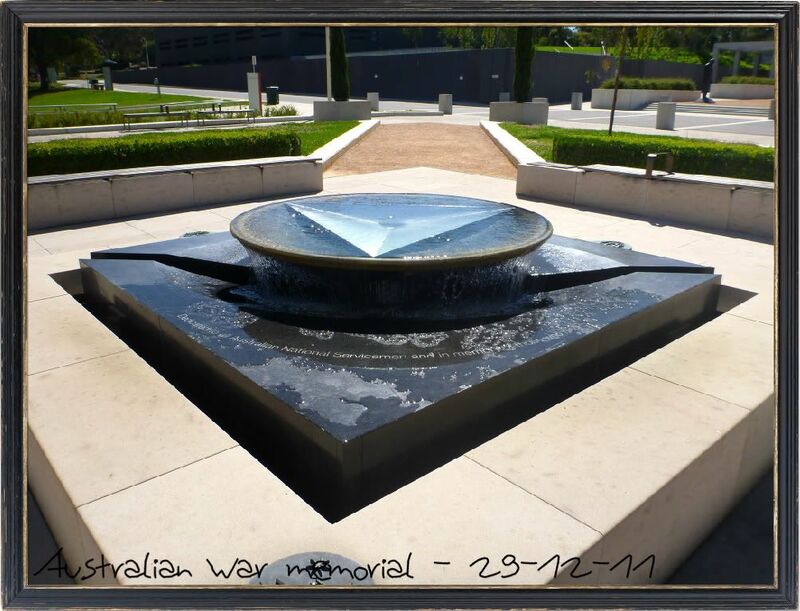 The Australian War Memorial was created after the first world war to commemorate the Australian efforts in the war. It was meant to only deal with WW1 but it was finished at the beginning of WW2 where they realised it would have to document all wars. Any time ANZAC is mentioned it means Australian and New Zealand Army Corps. We have been fighting together since WW1 and the battle of Gallipoli. There are displays starting from the 1800s where the Australians fought in Zululand through to displays on the Afghanistan and Iraqi wars. This is one of the statues outside the building. 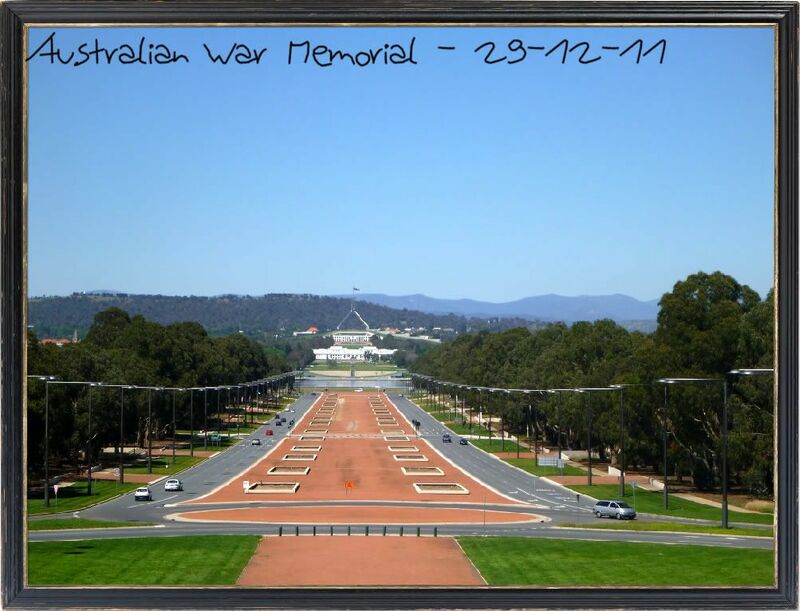 It commemorates Australian Forces. 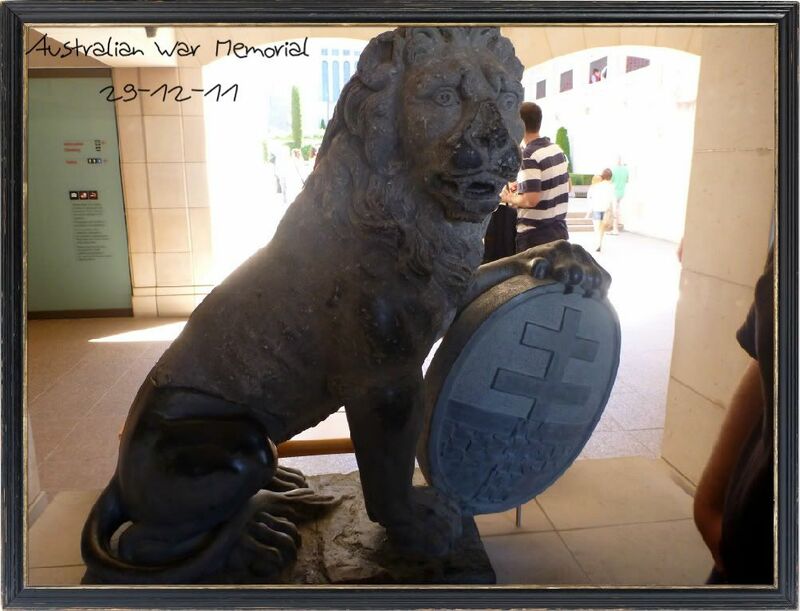 As you walk into the memorial there are two lions on either side of the entrance. They are called the Menin Gate lions and they were at the gate of Ypres in Belgium where many battles were fought during the first world war. We lost over 6000 soldiers during that time. Inside there is a pool and what's called the eternal flame. It stays constantly burning to remember the soldiers. 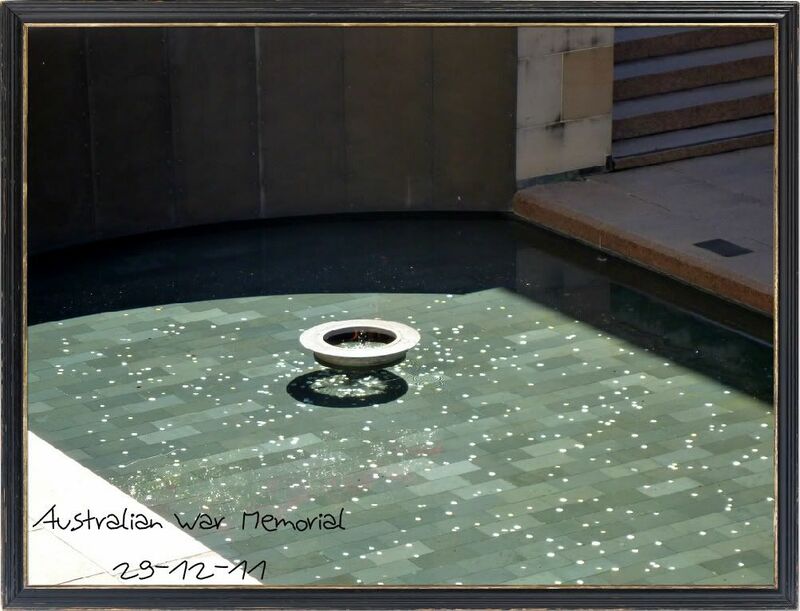 Around this courtyard is the list of names of those men and women killed in the service of Australia. There are 60,000 names from WW1 and 40,000 from WW2! So many people died. The poppies are a symbol of remembrance and this is just one tiny section of these walls. It's so sad to see so many names up on this wall. This is the view from the top of the War Memorial looking out over the top of Anzac Ave. towards old and new parliment house. 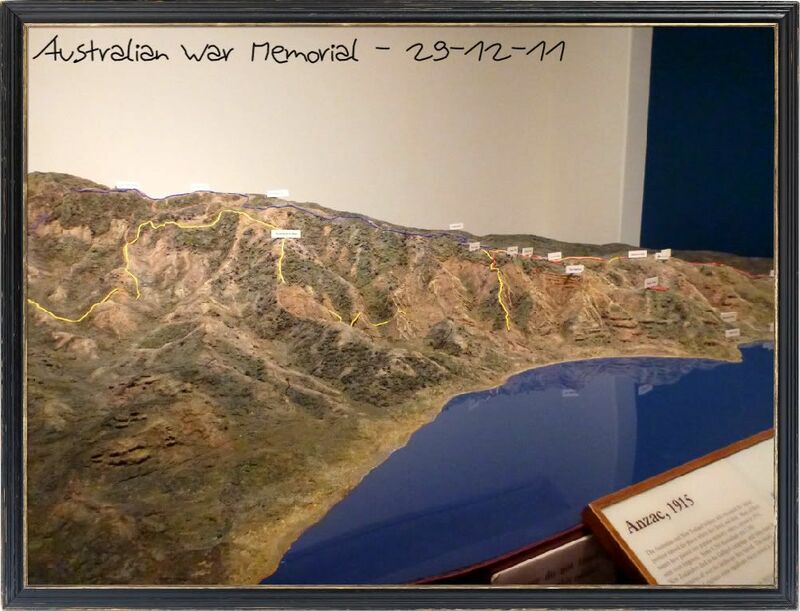 Here is a model used to show the land around Gallipoli. That was such a doomed battle as the Australians were directed to land at the wrong place on the peninsula. They should have landed in safer ground. As it was many of the landing fleet died that first day. 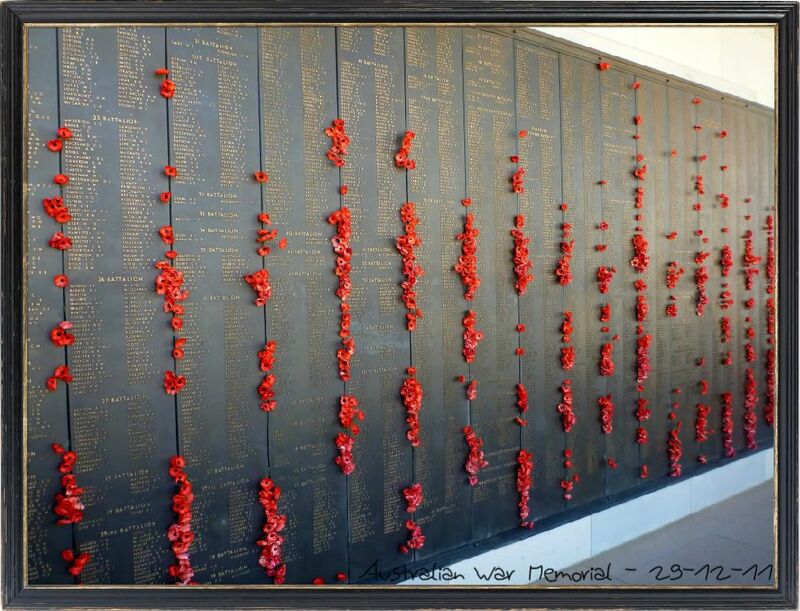 I will go into more detail about the story of the ANZACs on ANZAC day next year to give everyone a bit more of an idea. I know most of you don't know much about Australia. Many souvenirs were brought back from overseas and one of the most interesting is this mosaic. It is a floor of a building that they excavated and sent home. 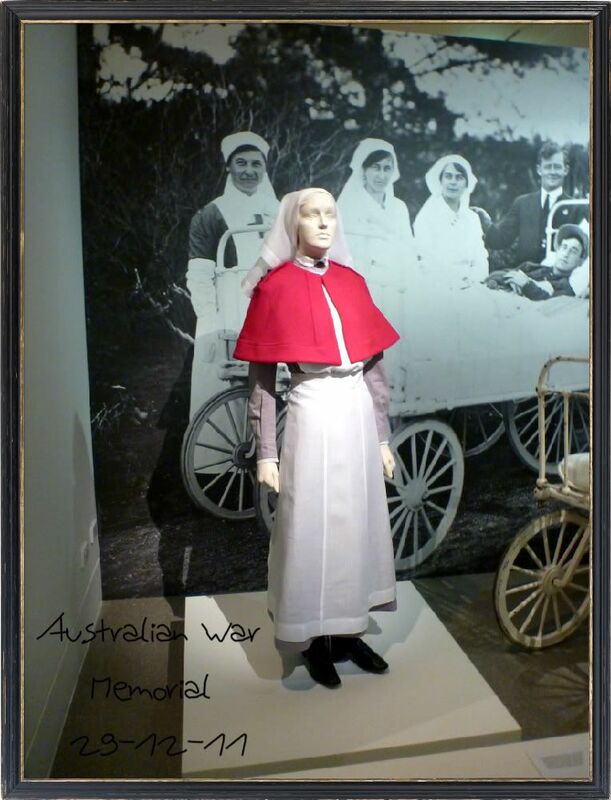 This is an example of a Nurses' uniform they wore the red capes so that they would be easily recognised as medical personal and hopefully would not be shot at. They worked tirelessly and it wasn't until the late 1970s that they managed to get the proper recognition and pay that the men did. This piece just interested me from a musical standpoint. 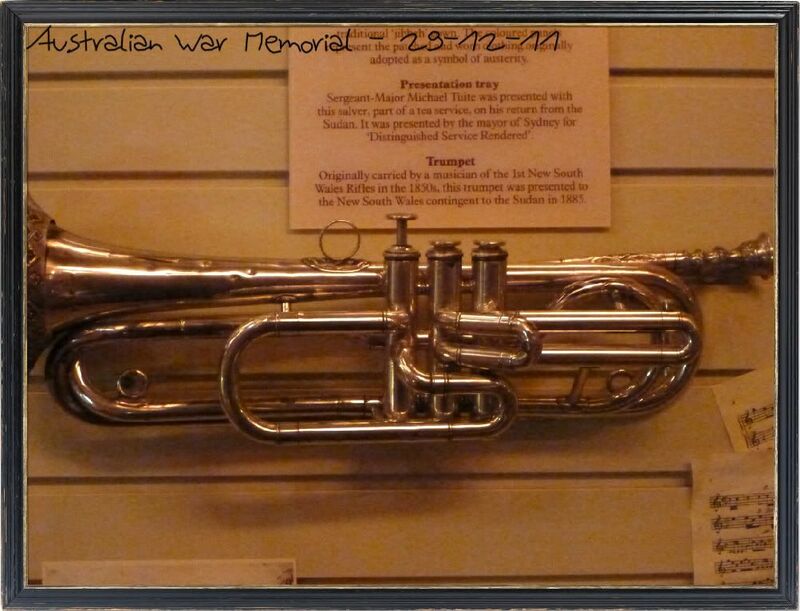 It's an old trumpet that was used in the 1850s in war. We're going back next week to go see more of the galleries we saw maybe half of the place and we were there for 5 hrs! There is always more to see. Hopefully I haven't absolutely bored you. I'm having fun on my holidays. What an interesting post. Thank you for sharing your visit. When you go back please post more photos. very interesting post..thank you for sharing it..